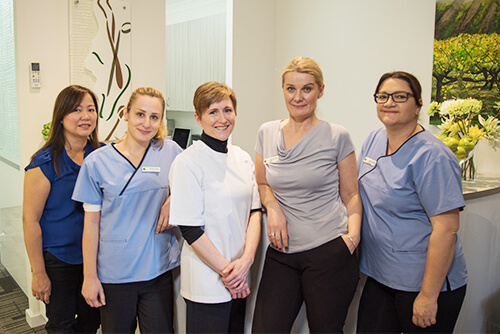 Beaufort Street Dental Centre has served the dental needs of our community for over three decades. Dr Joseph Lee took over in 2009, providing high-quality dentistry to a wide range of patients with different needs. Our friendly, professional team takes excellent care of you from the moment you arrive. The goal of our practice isn’t just to address your immediate problems, but to set you up for long-term oral health. We look at you holistically as a person, considering your needs at every turn. Then, we present you with all possible treatment options that suit your goals. We enjoy developing relationships with our patients. At our warm and inviting practice, you’ll never experience a cold, clinical ‘’Drill, fill and bill” mentality. If you have insurance coverage with these companies, we have specialised fee schedules that apply so those health funds, making your gap payment even smaller. If you’re with another health fund, a private fee schedule is applied but dental treatment is still covered to a certain extent. Your claim can be processed immediately through HICAPS. Beaufort Street Dental Centre also accepts coverage through the Department of Veterans’ Affairs. Get the immediate attention you need with a same-day appointment. Contact us today! Unit 5, 689 Beaufort St.